I’ve been a bit off on posting last week and this week. I’ve started school for my bachelors degree and the workload is a bit overwhelming. Add to that the two schooling at home, my senior in public school with band three days a week , and then a change in hubbies work schedule and you get an overwhelmed mama. Forgive me as I try to adjust and find a schedule that works. Until then, I may be a bit erratic with my posts. Let’s talk about tacos. My family love tacos. We usually fix them the same way. 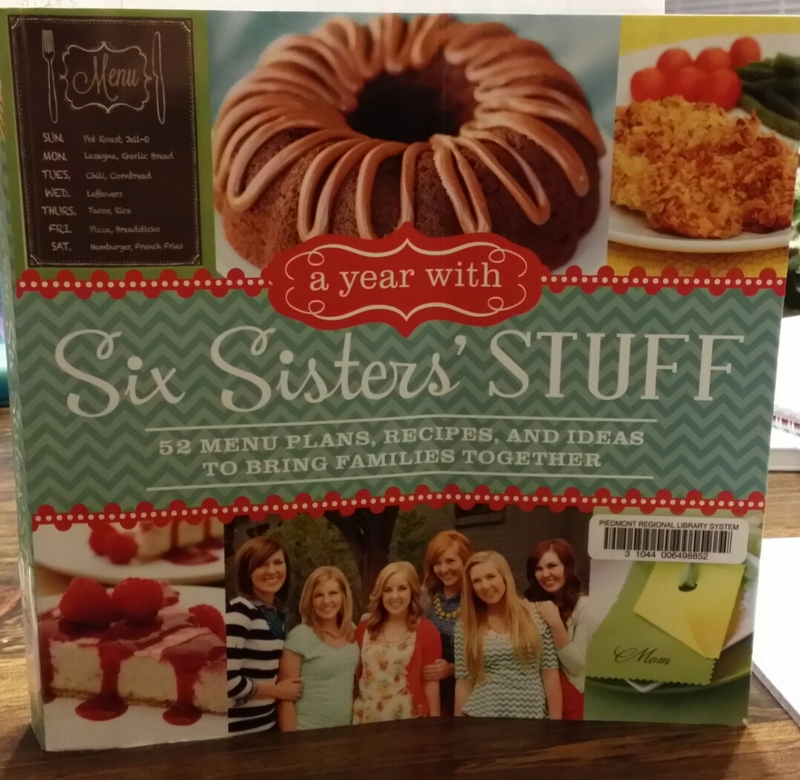 I heat the shells in the microwave and cooked the meat on the stove then we pile everything on the table and dig in. 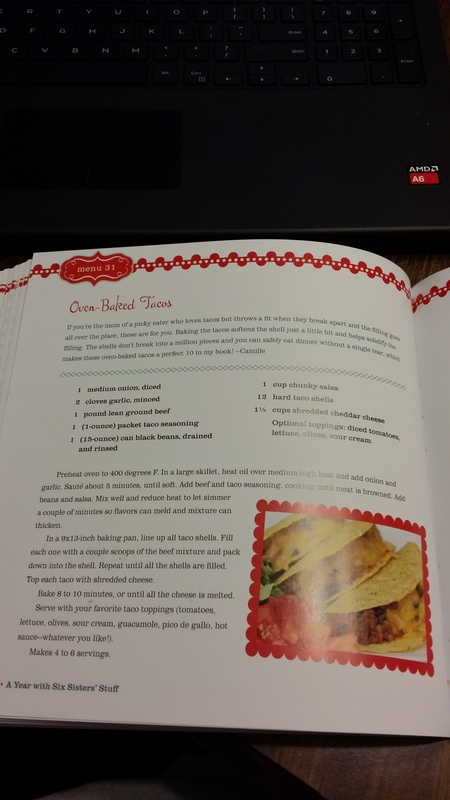 As I was browsing through the Six Sisters Stuff cookbook (linked below), I found their version of tacos which puts them in the oven for a cheesy moment of goodness. You can see from their picture that they look yummy. What I did was to cook my meat on the stove and add taco seasoning. I did take some plain meat out for my oldest who will not eat if the meat has been seasoned. Then I took out my frozen pinto beans which I had cooked in the slow cooker several weeks before. I heated them in the microwave and then put them in my food processor to make them re-fried bean consistency. 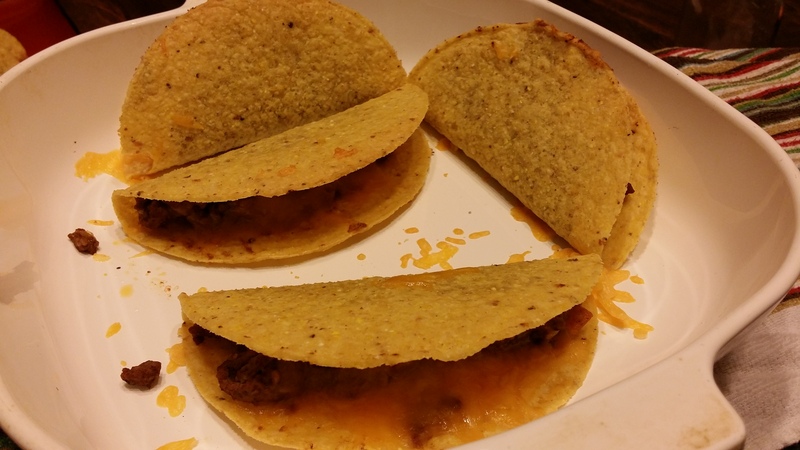 For the masses at large, I put a scoop of beans in the bottom of the shell, then meat mixture, topped with cheese. For my hubby, I added some diced onion before the cheese. Then popped them in the oven until the cheese was melted and the shells crispy. They added lettuce and salsa before eating. Here is what theirs looked like. They don’t look so appealing to me but I would have added other stuff before popping in the oven. 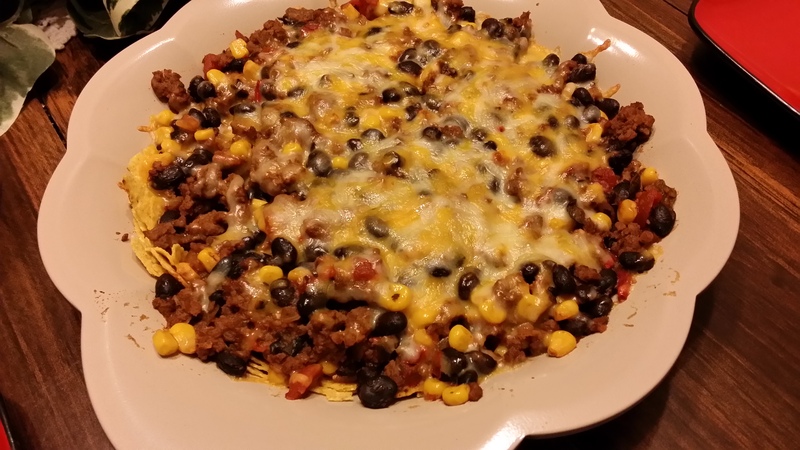 For me, I did it a bit different and crushed some shells into a pan then topped with meat and a black bean and corn mixture. Mine also had some chopped zucchini in it then was topped with cheese. I really like my mixed up dish.